I’m Helen Mia Harris, relationship expert and these are the questions I’d like to answer right now. And what follows is a process known as love withdrawal. If you’ve been experiencing any of these feelings, my “Surviving the Addictive Love Cycle program” may be able to help. 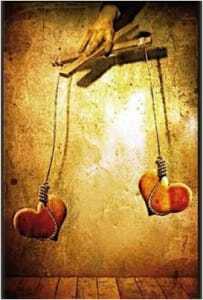 I created this online self help program after 22 years of research into unreciprocated love and loss, love withdrawal, anxious attachment, insecurity, co-dependency, rejection and abandonment. I am deeply passionate about this program, and my aim is to take you on a step-by-step healing process so you can finally move past the overwhelming emotions that accompany a distressing breakup, which might be causing you profound unhappiness, pain and sorrow. In this sensitive and compassionate self-help and recovery program, I will guide you through every aspect of your emotional trauma, help you to understand what happened, and more importantly, why, which will give you the knowledge and inner strength to reclaim your own direction and emotional self-reliance. This program has been specifically designed to guide you through this painful time and find a way forward, turning this raw experience into a life-changing journey of personal growth and self-development. 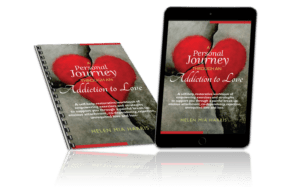 Within the program, you will also find my own personal story from the late 80s, under the title; “A Personal Journey through an Addiction to Love”. I chose to share this personal story as a way to show you that there is a way out, and in this program, I reveal the core secrets of my recovery and the step-by-step process you need to follow to turn your life around, move forward, and find the mutually loving, healthy relationship you deserve. Alternatively, if you would like to see me on a one-to-one basis at my couples and singles relationship practice in Sevenoaks, Kent, go here.